New York Times bestselling author of the Montana Sky Series. Daughter of Time is appropriate for teens to adults and is the prequel to the After Cilmeri series. 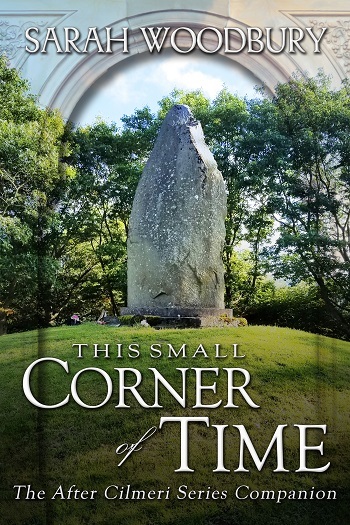 Anna is driving her aunt’s minivan with her brother, David, when she crashes through time and finds herself in the middle of an ambush of Llywelyn, the last Prince of Wales. It is December 1282, and the English have attacked, hoping to eliminate the Welsh rebels forever. Instead, the siblings save Llywelyn’s life and embark on a journey that transforms not only themselves but an entire world. Footsteps in Time is the story of what might have happened had Llywelyn lived … And what happens to the two teenagers who save him. Meg had thought that taking a commuter flight from Pasco, Washington to Boise, Idaho would be a simple matter. But nothing is simple for Meg when it comes to travel, and especially not when she finds herself in the Middle Ages again instead of in a plane crash on a mountain side in Oregon. And when the pilot takes off without her in a quest to return to the twenty-first century, Meg will need every last bit of maturity and knowledge she gained in the sixteen years she spent in the modern world–to survive even a day in this one. Winds of Time is a novella from the After Cilmeri series. Anna has made a place for herself in thirteenth century Wales as a wife, mother, and healer. David has taken more of the kingdom’s rule on his shoulders, even as his relationship with Lili has caused friction with his father, King Llywelyn. The King wants his son to seek a political marriage that will benefit his country–and possibly place the crown of England on David’s head–while all David wants is to be happy with the woman he loves. England and Wales have shared a border and an uneasy peace for three long years. November 1288. Bereft of a king or rightful heir, England hurtles towards civil war for the second time in a generation. When David, Prince of Wales, and his wife, Lili, travel to London to attend the wedding of William de Bohun and Princess Joan, they have no intention of involving themselves in local politics. But as infighting leads to murder, David and Lili find themselves at the center of a far-reaching conspiracy. Trapped between history and legend, they must decide how much they are willing to sacrifice to save not only their own country, but the people of England as well. Children of Time continues the story of Prince Llywelyn, Meg, and their children in the medieval kingdom of Wales. Two years in Afghanistan; four years working for MI-5, the British security service; and the death of both of his parents from cancer. At the age of thirty-four, Callum thought he’d experienced the worst that life could throw at him. That is, until his boss ordered him to open a buried file on his desk and to take it seriously. His new assignment: to detain and question a pregnant woman and her ailing husband–and if need be, to stop them from returning to medieval Wales. November 1291. Meg and Llywelyn gather their family at Rhuddlan Castle to celebrate their seventh anniversary and David’s twenty-third birthday. But the joyful reunion goes grievously awry when an old enemy raises the banner of rebellion, followed immediately by an even more catastrophic betrayal by an old friend. Meanwhile, facing war at every turn and still haunted by his decision to leave Cassie and Callum in the modern world, David chooses a dangerous path forward, one that will either change the course of the future forever–or burn his world to ashes. March 1294. Ireland is at a crossroads. The different factions–Irish, Danish, and English–are tearing the country apart with their constant warfare. Hoping to hammer out a treaty, David calls the Irish Parliament into session. Unfortunately, some lords are far more interested in fighting than talking, and it isn’t long before the conference goes awry. With the future of Ireland at stake, David finds himself caught up in a far-reaching conspiracy that puts not only his own life on the line, but his family’s as well. March 1294. With David and Llywelyn in Ireland, the rule of Wales and England has fallen to Math and Anna. Unbeknownst to them, however, rebellious barons have tried to assassinate David and thrown Ireland into civil war. When the treachery reaches across the sea and touches Anna, she finds herself at the center of a conspiracy that stretches from Dublin to Edinburgh–and it is only her actions and choices that stand between her family and the destruction of everything they’ve worked so hard to build. 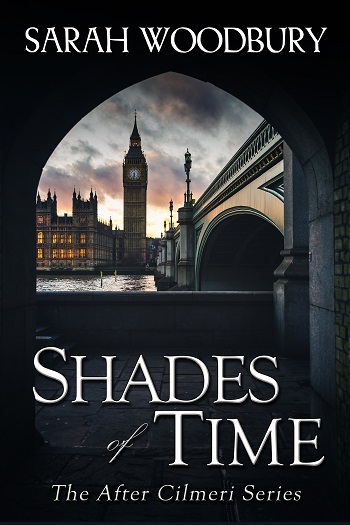 Shades of Time takes place simultaneously with Outpost in Time, the previous book in the After Cilmeri series. April 1294. With David returned from Ireland and Anna from Avalon, the time has come to confront the traitors who sought to assassinate David and take his throne. But before that can happen, David is tested yet again by his inability to account for everything or everyone in his life–and especially the magic that surrounds him. 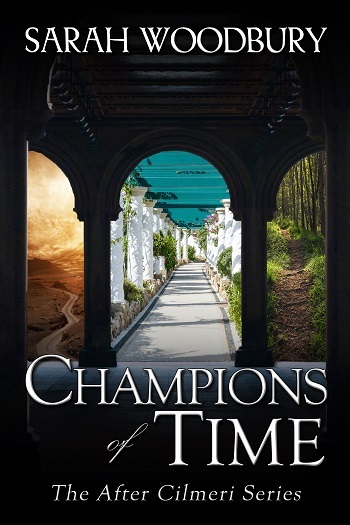 Refuge in Time takes place concurrently with and immediately following the events of Champions of Time, the previous book in the After Cilmeri series.